MawMaw made the best pralines (rhymes with Pauline). Well, actually, MawMaw made the best everything! I based the character Bernardine in The Diary of Marie Landry on MawMaw. This is the recipe that Bernardine shared with Marie (and MawMaw shared with me). The ingredients are très simple. My friend Claire calls me every December and says, “Stacy Lyn, it’s praline season. What’s the ingredient ratio again?” Here is how you (and Claire!) can remember the ratio: a cup, a cup, a cup, a cup, a stick. Generously butter a sheet (about 18 inches) of waxed paper. Melt the butter over a medium heat. Add the cream. 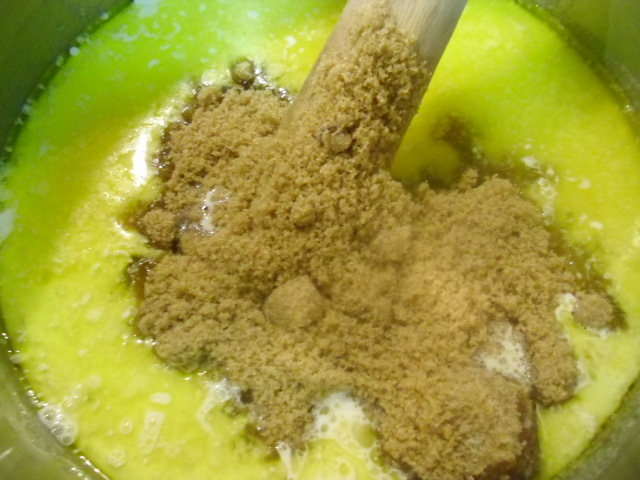 Add the brown sugar and break up the clumps. Bring the ingredients to a boil while stirring.Bring to a rolling boil, continuing to stir so that it doesn’t crystalize at the bottom of the pot. Notice that the bubbles get bigger and “pop” after a few minutes of boiling. 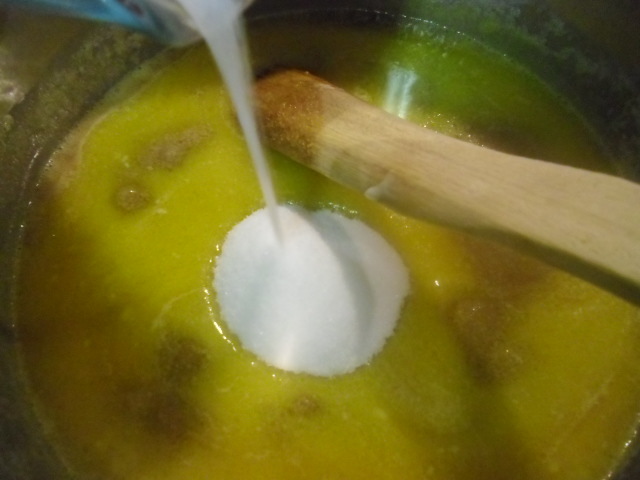 Boil the praline mixture until it reaches the soft ball stage (20-30 minutes depending on how high your heat is). Lower the heat and blend in the pecans. Drop by tablespoons onto the waxed paper. Shape into a circle with the spoon. Pick up the waxed paper and individually pop the pralines off the surface. Peel the pralines off the waxed paper. ok, so it’s December 2012 and I am heading to NC today for my very first Chisolm family Christmas…. and you know it! Here I am hunting for the ratio! LOL…. Love you Stacy Lyn! OMG Stace…this brought warm memories when we would get together and you would “teach” me to cook while our children played. Oh how I miss you. And I am definitely going to try this recipe again. P.S. we miss the crawfish boils. The memories are worth it, true…so, do call even if you don’t need the ratios anymore!